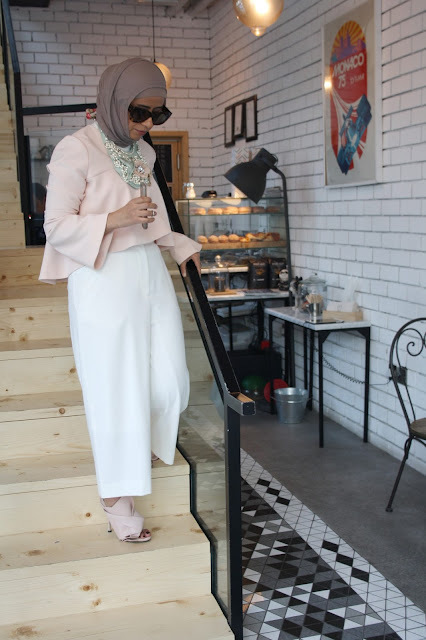 Experimenting with a blush palette this time, I know I got these mules since forever but found them super hard to style with Hijab looks so the overall look is muted tones but opted for a darker bag to give it a pop of colour .. This handmade necklace is everything, can't recall when did I actually buy it. Probably few years back but still got this sweet charm that turns any outfit to extraordinary..